Vice President of the Digital Economy Promotion Agency shares plans for Thailand to become a test bed for tech across the region. Thailand sits at the crossroads of Southeast Asia and is a gateway to other burgeoning markets like China and India. The Land of Smiles is well aware of this, and is growing its transport links to drive its grand ambition: to be the region’s digital playground. The country is the ASEAN chair this year and wants to show that is a serious contender in becoming the tech hub of the region. “What we need is to become the first, rather than the best. So we have to quickly develop. We don’t want to be the last,” says Dr.Passakon Prathombutr, Vice President of Thailand’s Digital Economy Promotion Agency (DEPA). 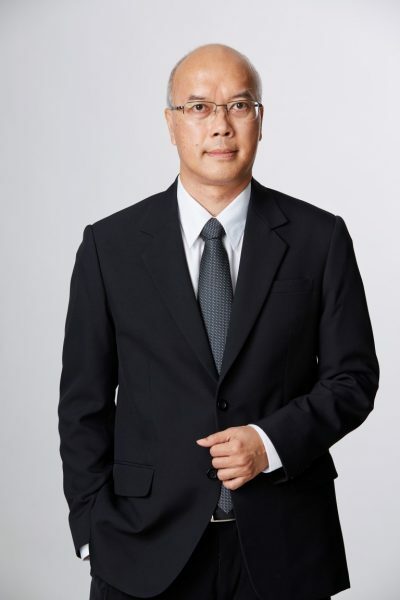 Prathombutr tells GovInsider about Thailand’s plan to build a digital park that connects to global players; how laws needs to keep up with technology; and DEPA’s plans to extend digitalisation to rural areas. 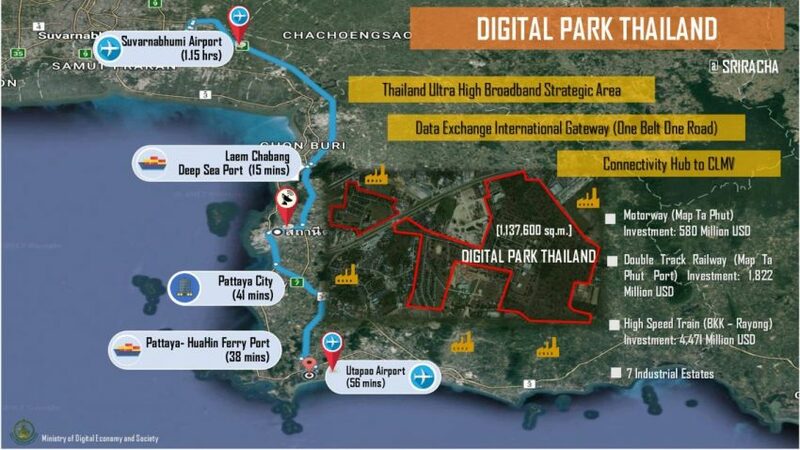 Digital Park Thailand is the government’s flagship project in the Eastern Economic Corridor (EEC). The EEC is a 13,000 sq km area, which has been touted as a gateway to the Asian market and is likely to be integrated into China’s extensive One Belt One Road initiative, according to the Bangkok Post. DEPA wants the digital park to be a one-stop shop for companies to plant its base in Thailand. The park, which is only slated for completion in 2022, has already attracted the attention of big global players like Huawei, Cisco and SK Telecom. The park spans over a hundred football fields, and DEPA will pour in some US$120 million over a five year period to build up the park, and provide subsidies for businesses. Prathombutr wants to invite big global players to invest in the park, or set up their test beds in this area. “You have co-working spaces, you have areas where you can create a product prototype, or you can talk to a lawyer to help you apply for patents,” reveals Prathombutr. Others in the region have already come up with similar ideas. Malaysia has a Cyberjaya science park in Selangor, while Singapore has a business park dedicated to R&D and technology. But what sets Thailand’s digital park apart is DEPA’s own participation in it. It has dedicated four buildings in the sprawling park for an IoT institute and a startup hub to build up a digital ecosystem in the IoT arena. As DEPA builds up a tech ecosystem, laws need to keep up, muses Prathombutr. “The technology changes very quickly. People change their phone models every six months, but the law is there for years, ten years,” says Prathombutr. He believes there needs to be greater agility in the legal system to align it with technology development. Prathombutr says the government needs to rethink how budgeting is done through “creative financing.” He explains that DEPA has a model of partnering with big businesses while sponsoring startups and SMEs in their digital transformation. “For our funding, it is not for the big guy, but for the SMEs. For the big guy, we are partners,” says Prathombutr. He adds that this partnership speeds up transformation in small businesses, which make up more than 90 percent of businesses in Thailand. Startup Thailand is another key driver of this transformation, as the country aims to develop 1,000 startups and 50,000 high-skilled workers by 2021. The Thai Government has earmarked US$570 million of funding to startups in the country, and this will contribute to 5% of GDP, according to the Bangkok Post. Prathombutr explains that this is the business model of today, and startups can provide an injection of innovation into the economy. “We need new ideas and business models. Not new technology; the technology is there. But how to apply it, I think that’s the challenge,” he adds. Building up a digital economy is not just about ambition, it is about sharing the fruits of technology with everyone. DEPA wants the whole of Thailand to benefit from digitalisation, including its rural areas. It is doing this by supporting ground-up initiatives and incentivising small businesses to go digital. When it comes to bridging the digital divide, Prathombutr says DEPA takes a ground-up approach. “We have a funding called transformation fund, so we let the community develop their own ideas, and we support with funds for that in the digital areas. We want them to transform themselves,” he says. “When we think of smart cities, they are not only for the high-end cities. What we think about are the local or rural areas. Many cities are not like Bangkok or Singapore, for example. The thing about ASEAN is that we should leave no one behind,” says Prathombutr.